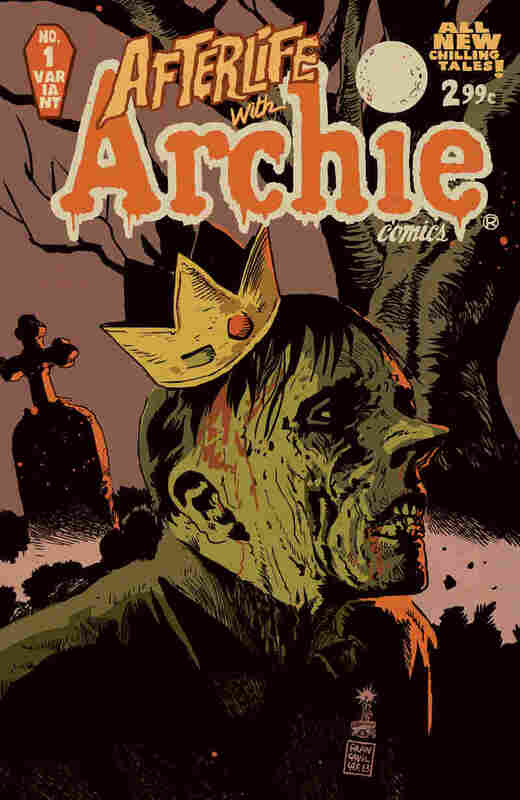 World War R: New Comic Pits Archie & Gang Against The Undead Archie and the Riverdale gang find their comfortable existence upset by marauding hordes of the undead in the new Afterlife with Archie series. Reviewer Jody Arlington calls it a "macabre monthly masterpiece" that pays winking homage to classic horror comics and Tales from the Crypt. Ready for your fair share of Halloween shakes and shivers, kiddies? Look no further than Afterlife with Archie, a new ongoing comic series that melds our eternal fascination with all things zombie apocalypse and one of the most enduring and successful comic icons of all time, Archie Andrews — and yes, it is actually scary. What follows is a five-story arc called "Escape from Riverdale" that will see the surviving members of the gang leave home for the first time in 72 years. Terrific pop-culture horror references (or reverences) in dialogue and art are on every page, plus a dark humor that conjures classic Tales from the Crypt. This new macabre monthly masterpiece is penned by Roberto Aguirre-Sacasa, who cut his teeth on horror fare and Archie comics. You might know him as the writer of the upcoming Carrie remake, or for his comic adaptation of Stephen King's The Stand. Less well known — but perhaps more relevant — is his graduate school play, originally called Archie Loves Nathan, in which Archie became college roommates with a real-life monster, Nathan Leopold (of Leopold and Loeb infamy). 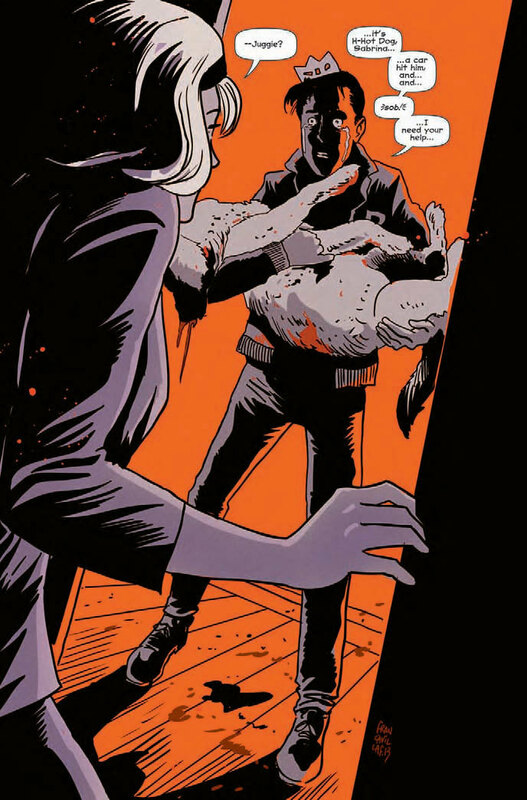 Afterlife is drawn by Francesco Francavilla, known for his dramatically-lit, moody creations, notably in Detective Comics. This creative combo alone put Afterlife on several most anticipated comics lists; in fact, the first issue sold out in five hours. While Afterlife marks a lot of firsts for Archie Comics — first horror book, first teen rating — it really is the latest in a chain of successful innovations that's kept Archie on top of the mass market heap, with 2 billion comics sold in several different languages. Did I just hear a record scratch in the minds of legions of comics readers who find the only thing enduring about Archie Andrews is his eternal squareness? Feeling smug, are you? But consider: in hairstyles, clothes, technology (there will be blood texting), Archie isn't as static as you remember. Yes, Archie Comics keeps its core titles pristine, but it's also kept up with the times, introducing the out-and-proud character Kevin Keller along with audience-expanding mashups and alternative storylines like Archie Gets Married and Afterlife with Archie. Remember too, your younger self had different sensibilities. 60% of Archie readers are tween girls, average starting age: nine. Since I happen to know a 9-year-old girl, Lilah, who loves Archie, I asked her what gives. "It's fun to read when I have nothing to do. Jughead is funny and all he thinks about is eating. And I like dogs. So Hot Dog is my favorite." Dear reader, you know what I had to do. Don't hate me, don't try this at home — and don't come after me, Crypt-Keeper! But I had to ask: What did she think of Afterlife? "I really, really liked it. It was a cliffhanger. I did have a nightmare about zombies but that's just cause I read it a second time at night and it was dark so it was more scary." Which leads me to a last reason you need to read this book if an Archie horror title wasn't on your list. The kids are going find and consume it. Why not do it together?